Allods Team have just released Dark Omen, Skyforge’s newest update. The update contains a new questline and tools to improve quality of life for Pantheons – Skyforge’s take on guilds. Skyforge made it into our list of PC’s best MMOs – why not see what else is in there. As well as adding the questline and improving guilds, Dark Omen also sets up and enhances gameplay in preparation for an upcoming expansion aimed at the highest level players. A new Operation system will let these high level players combine their powers to more effectively fight off the invasions on Aelion. Operations have also received an overhaul that introduces a clear progression bar, as well as increasing overall ease of use for users. The new questline will have players learning what it takes to become an Elder God, fighting against a metallic foe in a series of missions that culminate with a boss encounter with the questline’s Mechanoid Boss. As for the Pantheon improvements, a new Pantheon Fusion Tool will allow Pantheons of any size to merge, joining forces to hold back the relentless invasion. 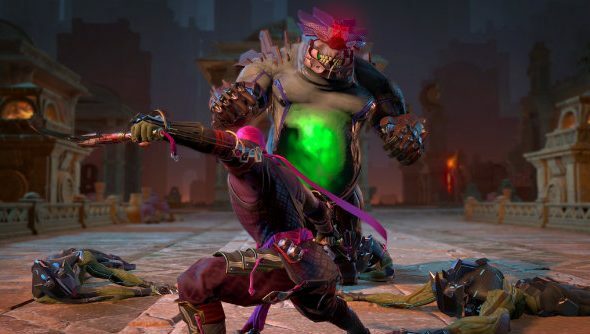 If you want to dig into some of the smaller changes in Skyforge’s Dark Omen update, you can read the full patch notes here.